A Conventional 97% mortgage loan is a Fannie Mae home loan that allows homeowners to purchase a home with only a 3% down payment. It is a great misconception that all conventional mortgage loans require a 20% down payment however many options for alternative financing do exist with low down payments or even no down payments. The Conventional 97% Mortgage is Back! The 3% down Conventional mortgage is now back through Fannie Mae’s My Community Mortgage® as well as for standard conventional loans. This program is designed for first time homebuyers that may not have the resources for a large down payment. At least one of the borrowers on the loan must be a first time home buyer in a purchase transaction. The My Community Mortgage® program is only available for low to moderate income families and may require home buyer education prior to loan closings. The standard conventional mortgage is also designed for first time home buyers but does not have income restrictions. 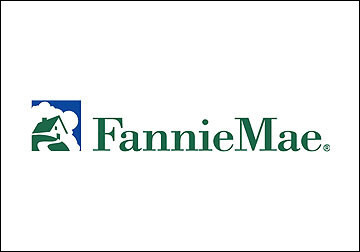 97% refinance loans will also be made available for those who do not qualify for a HARP refinance but have loans owned by Fannie Mae (see Fannie Mae Loan Lookup tool to confirm eligibility). This high LTV refinance program will be available only as a limited cash-out option which allows a borrower to simply change their interest rate or mortgage term. If a borrower does not meet the eligibility requirements for a Conventional 97% Mortgage, homebuyers may need alternatives for low down payment home loans. One great options is the FHA mortgage program which still only requires a 3.5% down payment. FHA Mortgages have been very popular over the past several years as they are more flexible on credit and qualifying after bankruptcies and foreclosures. FHA loans also may allow for family members or close friends to gift the down payment. That’s right, a borrower can buy a home with none of their own money out of pocket which may be limited on 97% Conventional financing. Closing costs may also be paid by the seller with a limit of 6% of the home’s purchase price while Conventional loans limit seller paid closing costs (Seller concessions) at 3%. Another low down payment mortgage alternative may be the USDA Rural Development Loan which is a no down payment mortgage with 100% financing. While the USDA option may be great to consider, there are downsides. Currently many USDA field offices are caught up on loan application and are approving Rural Development loans very quickly however at times they do get several weeks behind before reviewing applications. One major factor of this loan option is that the home must be in a rural area. The USDA guarantee this home loan type to help grow rural communities therefore the location of the home cannot be in a largely urban area (see the USDA’s eligibility website for more information). Lastly, the Conventional 95% mortgage loan is another great alternative to the Conventional 97% mortgage loan. Not everyone will qualify for the 3% down payment mortgage including those that are not first time home buyers or make too much money for the My Community Mortgage®. With a couple of quick yard sales and postings on craigslist you may be able to come up with the extra cash for a 5% down payment which may offer better financing terms. While only 3% down sounds great, you will be much happier with the lower interest rates and Mortgage Insurance Premiums (PMI) that just a bit more cash will bring. Riverbank Finance would be more than happy to help you review your low down payment home loan options. Apply now for a Conventional 97% mortgage or My Community Mortgage® for first time homebuyers and buy a home with only a 3% down. Call us today at 800-555-2098 or submit a request below for additional information.